Like a thunderclap out of clear sky, the recent news about Amazon Webstore shutting down in 2016 has hit its clients hard. The unfortunate merchants have raised a logical question - “What to do next?” and got no clear answer... Until now. The salvation has come, as Cart2Cart established a full support Amazon Webstore migration, making it available for transfer to world’s most popular shopping carts absolutely automatically! Thereby, every Amazon Webstore owner can desert a sinking ship and switch to one of 60+ supported platforms in terms of a few hours. The situation required actions, and so Cart2Cart did, resulting in offering the most convenient migration solution for Amazon Webstore. Just in a few simple steps, guided by an intuitive Migration Wizard, you’ll be able to perform a full-scale switch with no programming skills required. 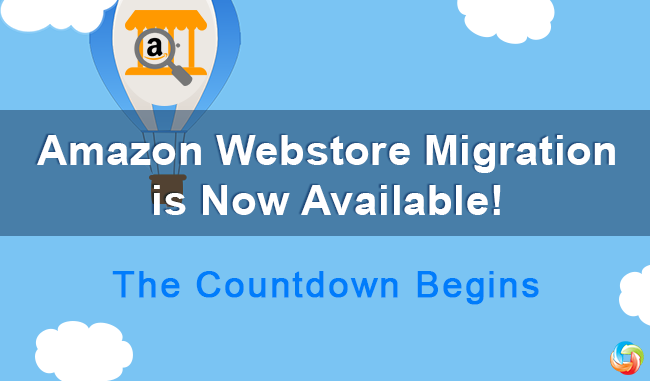 Fast, secure and effortless migration of your Amazon Webstore data will turn your e-Commerce dreams into reality! Experience the benefits of automated switch and liberate yourself from the burden of waiting Amazon Webstore to close down! Ensure your business is safe and perform a free Demo Migration now!